A decentralized framework for managing scholarly publications' life cycles and the associated data. Orvium is intended to eliminate existing model inefficiencies and to improve the quality and effectiveness of the scientific publication life cycle. 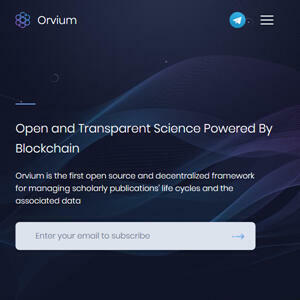 The ultimate objective is for Orvium to be the leading publication platform for the research community while returning the benefits of science to society.